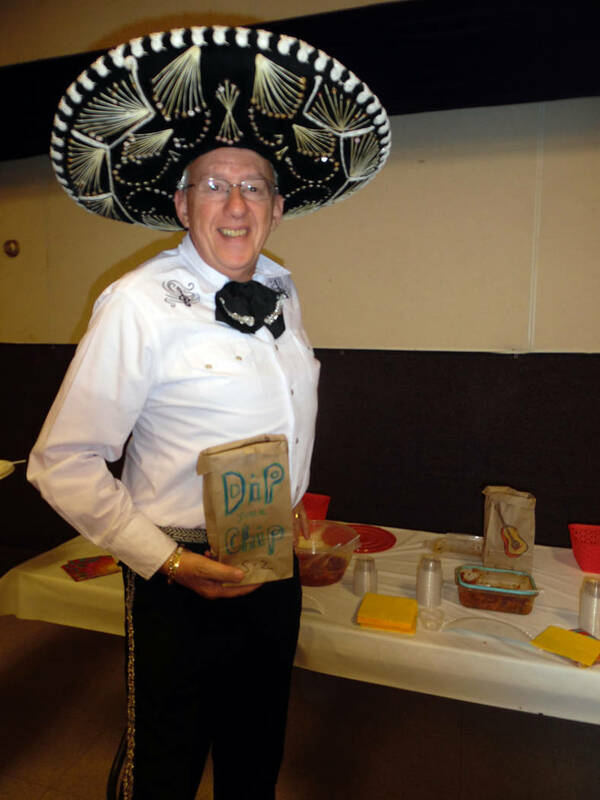 Emergency Aid of Boulder City hosted its inaugural Mexican Chip Dip Competition on Saturday. 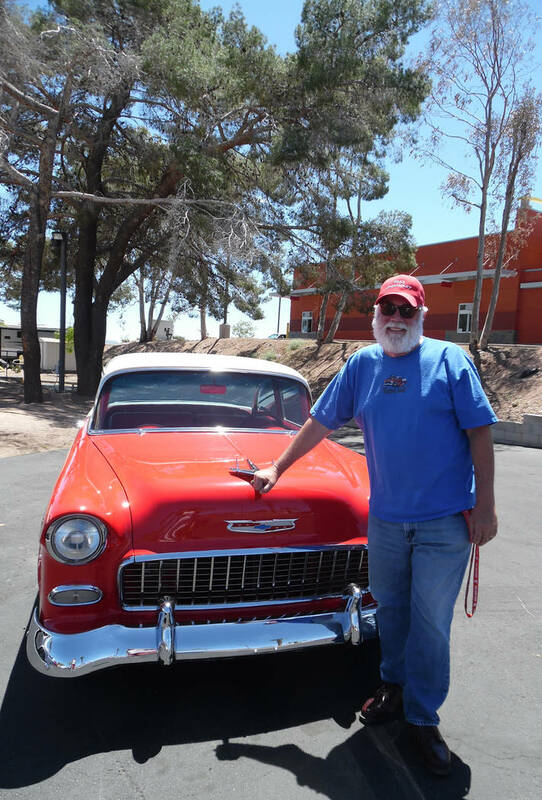 The event, which included a car show, silent auction, barbecue lunch and family activities, helped raise funds so that the nonprofit that aids those in need can keep its food pantry stocked during the summer, when donations typically decrease. Hali Bernstein Saylor/Boulder City Review Mike Derby, president of Emergency Aid of Boulder City, and volunteer Helen Breeden were on hand to help ensure Saturday's Mexican Chip Dip Competition ran smoothly. There were 30 entries in between the two dip categories. Hali Bernstein Saylor/Boulder City Review Joe "red shirt" Rowe samples one of the entries in Emergency Aid of Boulder City's Mexican Chip Dip Competition on Saturday. 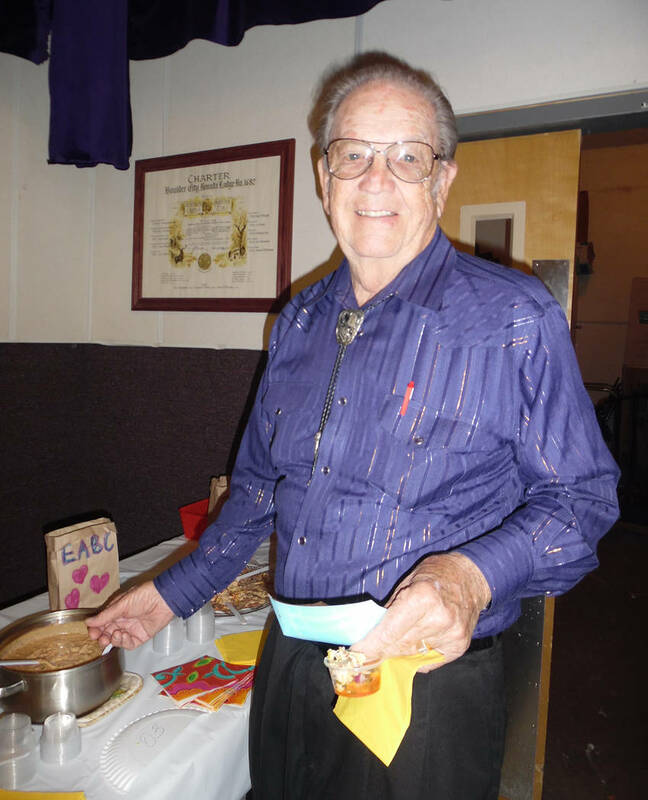 Hali Bernstein Saylor/Boulder City Review Roger Douglas came dressed for the occasion as Emergency Aid of Boulder City hosted its first Mexican Chip Dip Competition on Saturday at the Boulder City Elks Lodge. Patrons were invited to sample the entries and then vote for their favorites. Hali Bernstein Saylor/Boulder City Review Leo Jones of the 3 Old Guyz Car Club brougth his 1955 Chevy to display at Emergency Aid of Boulder City's first Mexican Chip Dip Competition on Saturday. About 30 classic cars were displayed. 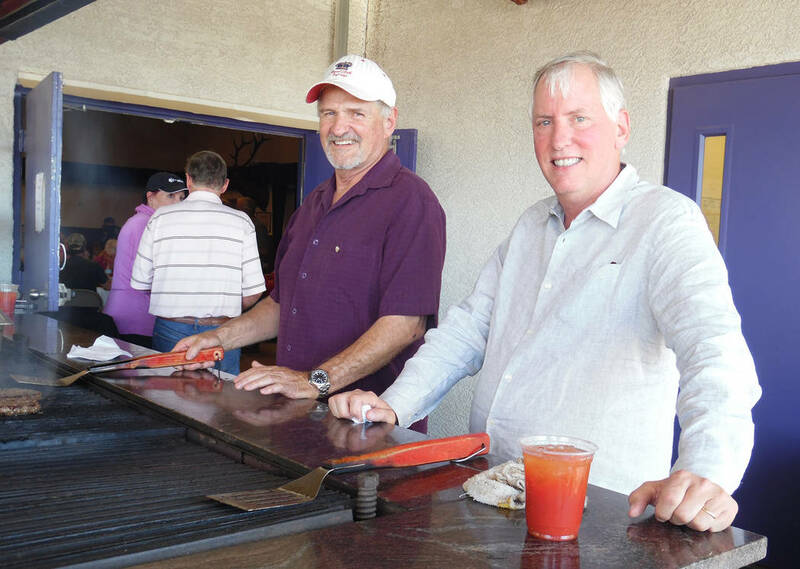 Hali Bernstein Saylor/Boulder City Review Doug Scheppmann, left, and Dr. Robert Merrell manned the barbecue for Emergency Aid of Boulder City's Mexican Chip Dip Competition on Saturday at the Boulder City Elks Lodge. Proceeds from the sale of burgers and hot dogs will help the group stock its pantry during the summer. 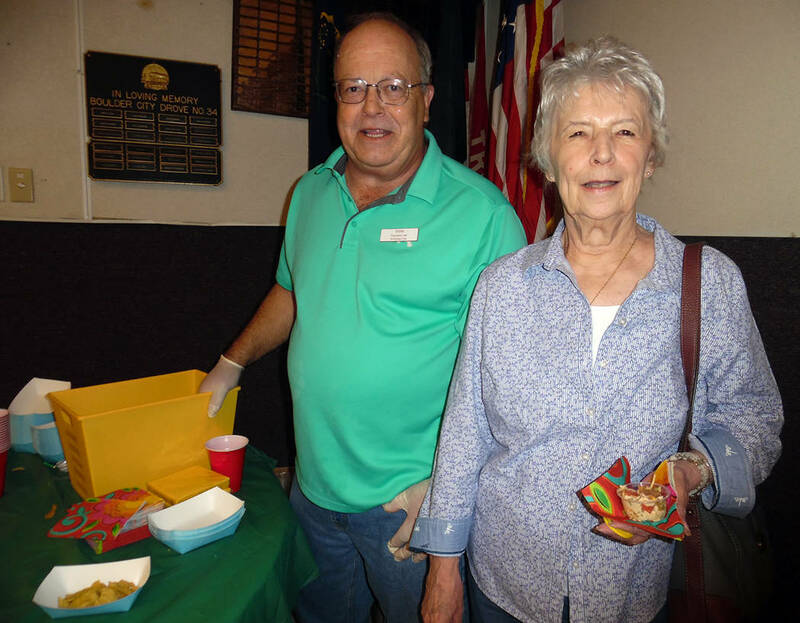 Hali Bernstein Saylor/Boulder City Review Tom Tyler, vice president of Emergency Aid of Boulder City, handed out chips and vegetables to Teresa Krause during Saturday' Mexican Chip Dip Comptition held at the local Elks lodge. There were about 30 entries in the dip contest, which was divided into two divisions: salsa and other. 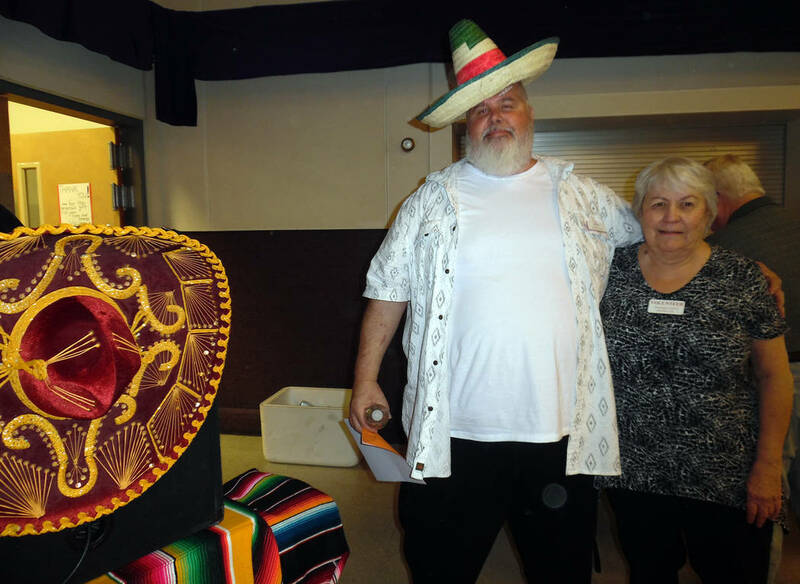 Rob Martin won the salsa contest, and Katie Apel, who brought in a layered dip, won the other division. Each was presented with a $100 gift certificate. Runners-up were Jeff Breeden for his pomegranate salsa, Julian Vargas for his fresh guacamole and Robby Burnett for his chili-cheese dip and corn dip. Event organizers estimated that roughly 140 people attended.